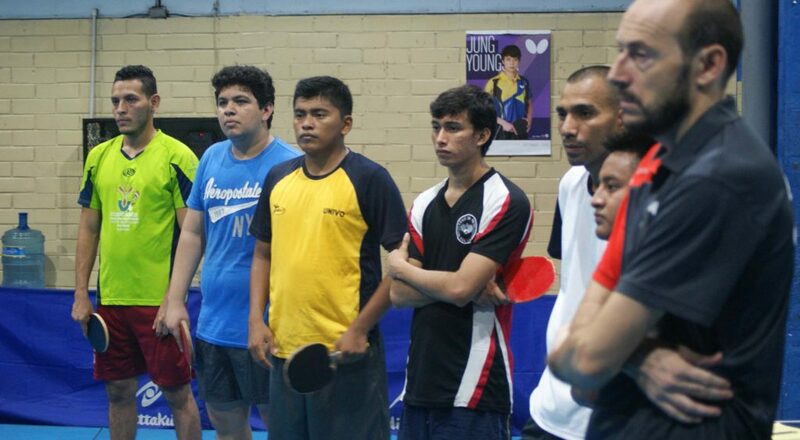 Located in Central America, the home for one of the most well established ITTF World Junior Circuit tournaments on the calendar, El Salvador was the home for a recent ITTF Level Two Course. Organised under the auspices of the ITTF Development Programme, proceedings commenced on Tuesday 20th and concluded Sunday 25th September; the expert on duty was Venezuela’s Francisco Seijas. Locally matters were organised by Melecio Rivera, ITTF Executive Vice President and President of the El Salvador Table Tennis Federation, in liaison with Carlos Esnard, the Technical Director of the El Salvador Table Tennis Federation. Overall, a total of 16 coaches attended, 13 being from El Salvador; three from neighbouring Guatemala. Notably nine coaches passed the course with three gaining sufficient marks to advance to Level Three. Guatemala’s José-Luis Machado and Danny Moscosco alongside the host nation’s Kara Perez were the star students. A notable feature was that many of those in attendance were young aspiring coaches; a fact that impressed Francisco Seijas who was quite clear that those who did not reach the required level should not be discouraged. All had gained knowledge that would no doubt prove valuable in the future and enable then to progress to a high level. Additionally, Francisco Seijas praised the work of the El Salvador Table Tennis Federation, especially the efforts that have been made to introduce more players to the sport. By his side engineer Rivera, I congratulate the participants while I urge you to continue this success and overcome in order to improve in the future for the sake of their country. Matters concluded with Melecio Rivera presenting a specially engraved plaque to Francisco Seijas in gratitude of the effort that had been made.